Rock City Phuket or Red Hot Live Band? 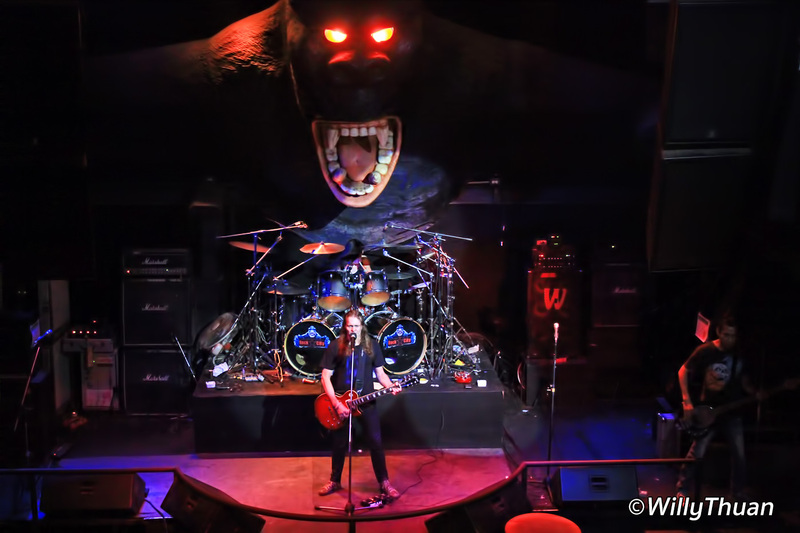 Rock City Phuket is a large live Band bar located at the intersection of Bangla Road and Rat U Thit Road. 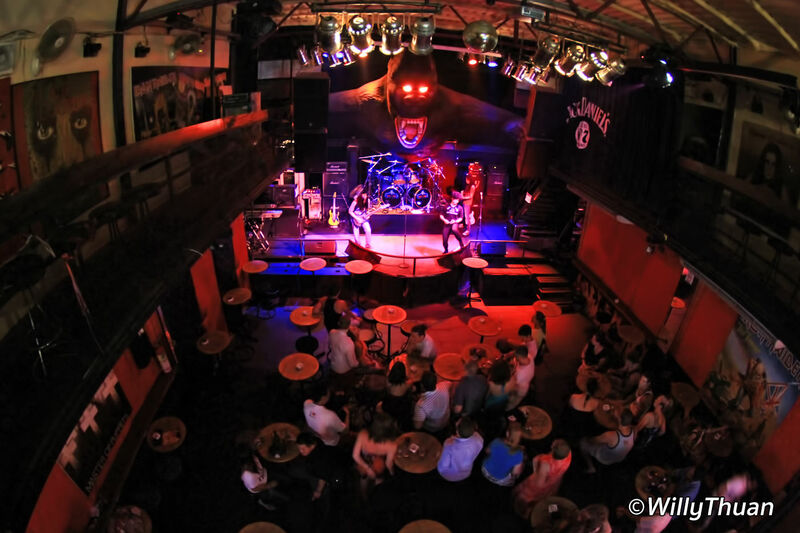 The intersection is home of two popular venues: Rock City Phuket and Red Hot Bar. So which one is best? 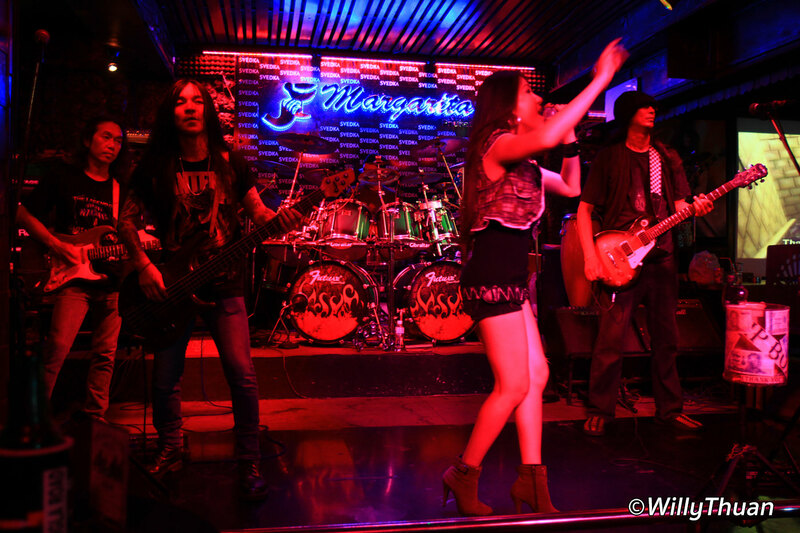 Phuket live bands are everywhere in Patong so we decided to have a look inside Rock City. It’s a tough competition, there are more live bands in Phuket than tailors (some will know what that mean) and everyone wants one because some did well with it. But not everyone can afford a great band and some venues would do better concentrating on their food. Red Hot Bar looks busier and attracts by-passers with a more strategic location and and an open space that allows sound to catch people’s attention. They have been successful for more almost two decades and play more recent tunes than Rock City. Bands at Red Hot Club are really good, choice of music too and singers have less of the heavy metal style so characteristic of Rock City. Rock City is clearly more rock oriented with these alien metal sculptures and a huge screen showing rock concert images, but the narrow entrance somehow reminds more of a go go bar. It won’t take you more than five minutes to make your choice: Rock City singers and musicians are above average and no band I heard in Phuket before come close to this. It’s like going to a rock concert for the price of a beer (150 Baht). 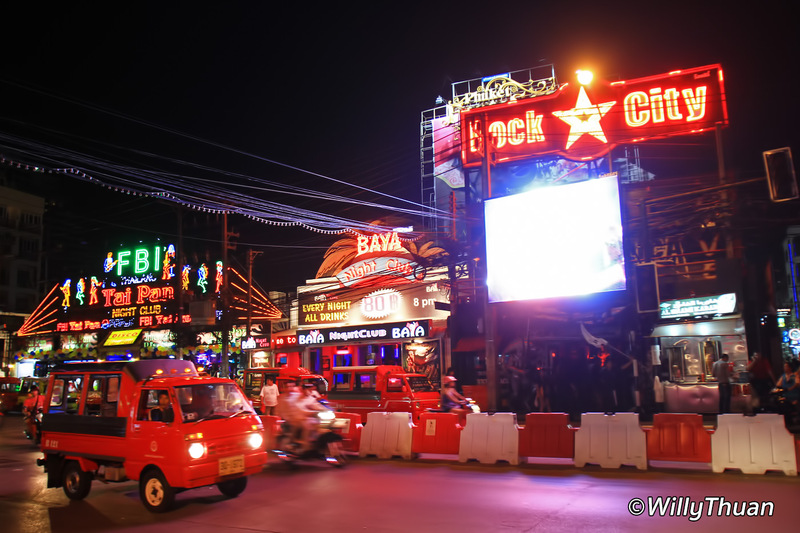 Rock City Phuket opened in 2005 on the beach front of Patong beach and was quite a success. Then in 2008 moved to the intersection of the two hottest streets of Patong, just next to Jungceylon Mall. Impossible to cross to Patong and miss it. The place is aging and would certainly need a good refurbishment, but sound, lights and play will take you away. 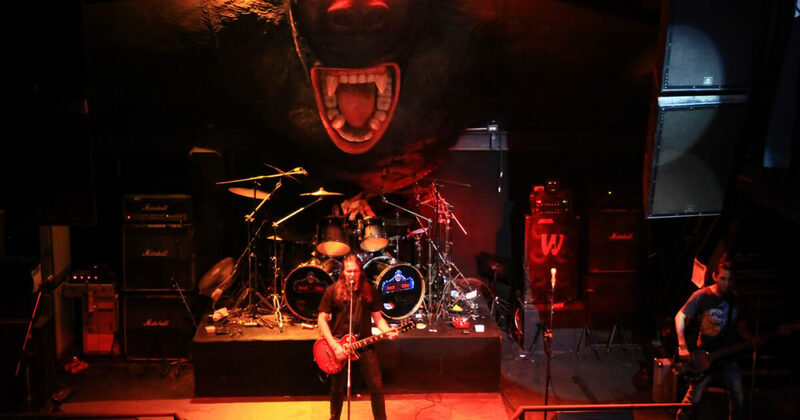 From 8.00 m to 3 or 4 am, bands will rotate and play extremely well all the classic rocks songs from the seventies to nineties, you’ll know them all and you’ll be surprised how close it sounds when tribute bands play AC/DC, Metallica and Bon Jovi. Phuket Price Check! 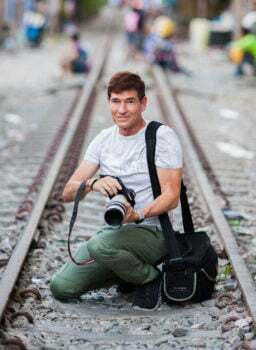 Which Shops are Cheaper in Phuket?